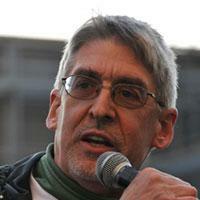 Larry Everest is a journalist, author and videographer covering the Middle East and Central Asia for over 20 years. Shortly after the end of the Persian Gulf War, he went to Iraq to document the impact of the war on the Iraqi people and filmed the award-winning video Iraq: War Against the People. Everest wrote Behind the Poison Cloud: Union Carbide’s Bhopal Massacre, based on his on-the-scene investigation.